Wraysbury Skiff and Punting Club | What is skiffing? You are here: Home » What is skiffing? A skiff is a traditional clinker built rowing boat with fixed seats originally used by ferrymen or pleasure boats on the Thames but, is perhaps best known as the boat used by Jerome K. Jerome’s, Three Men in a Boat. Racing skiffs come in two types; singles for one sculler and coxed doubles for two scullers. They are sculled with two oars, rather than rowed with one and have fixed seats with an adjustable foot stretcher to cater for different leg length. They have no riggers. The oars are held in a gate bordered by two thole pins. The oar stays in place with the aid of a leather button, which is inside the skiff, while also ensuring that the oar feathers easily and goes through the water at the correct height. 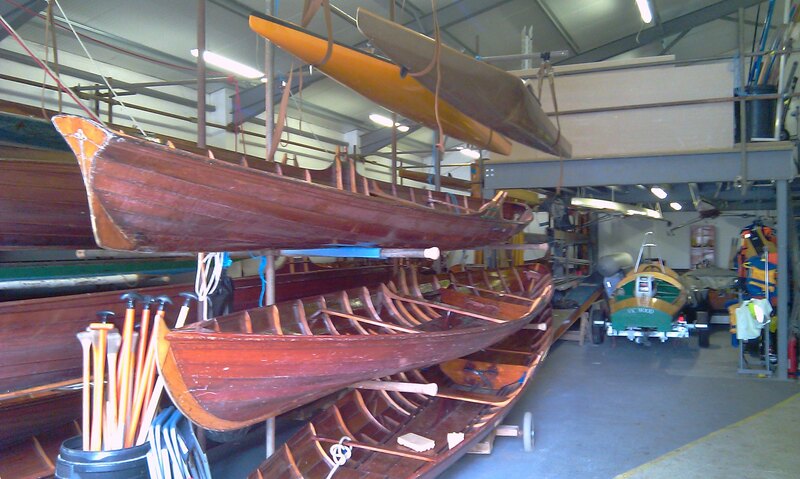 All skiffs are made to the same specification and are always made in matched pairs or threes. All races are conducted in matched boats. This ensures crews win on skiffing ability, not because they may have a lighter, newer or technically innovative boat. A typical sprint course is some 600-700 metres in length with the course taking 3-4 minutes to complete, depending on the competence of the crew. By contrast, the long distance races can vary from 25 to 40 minutes in duration. Events are offered in Singles or Doubles for Men, Women and Mixed crews. You start with a status of Novice and with sufficient wins at each status, can move through to Senior. You have a separate status for each of the three disciplines; Singles, Doubles and Mixed Doubles. Races are also offered for Juniors and Veterans with handicaps on time based on the age of the crew. 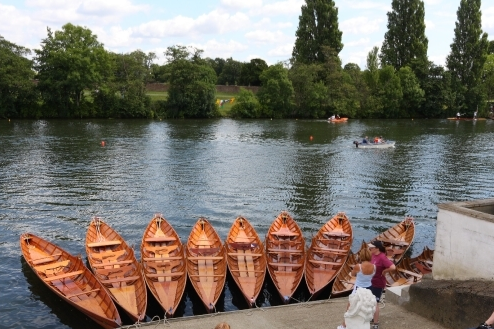 The highlight of the skiffing season is the Skiff Championships Regatta held at Henley in August. The sport is administered by the Skiff Racing Association.